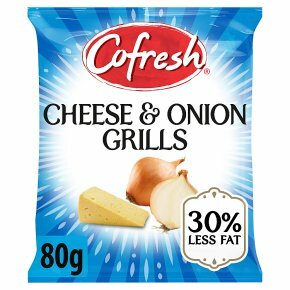 Cheese & Onion flavoured potato based snack. Proud to be no. 1 Indian snack brand. 30% less fat than regular potato crisps. Suitable for vegetarians.